Anyways. 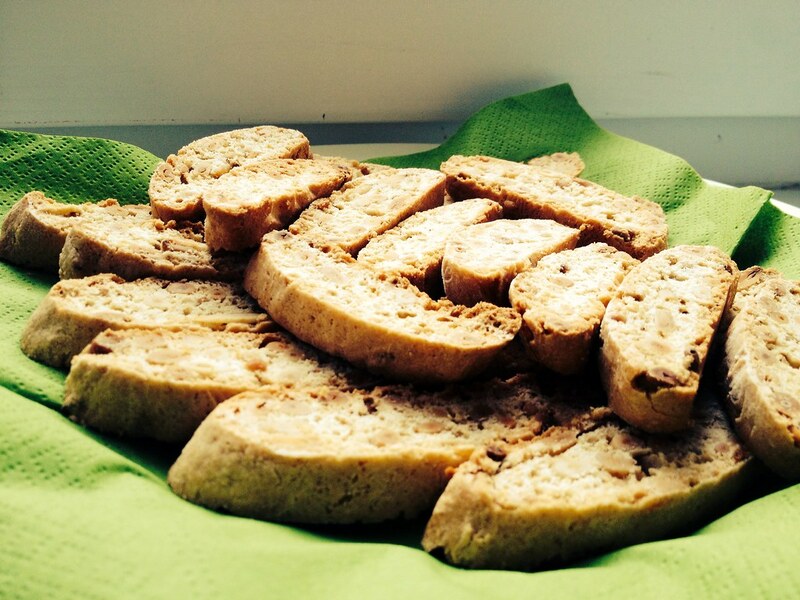 Cantuccini are really great and I love baking them as much as eating them. They are part of what I call "dry things", I am best at baking. Don't know why. But cookies, shortbread (I know, they are fat, but somehow also dry), bread and so on come easy to me. Not like cream-rich, chocolate loaded sweets. Maybe because I also like them more in taste. However, I regularily do pistacchio-cranberry cantuccini, but I also liked these. They were more than fast and easy in the making and turned out great. Everybody at the office loved them, even those people who are not very crazy about nuts. I exchange the almonds for pine nuts because I had to get rid of some left-overs. 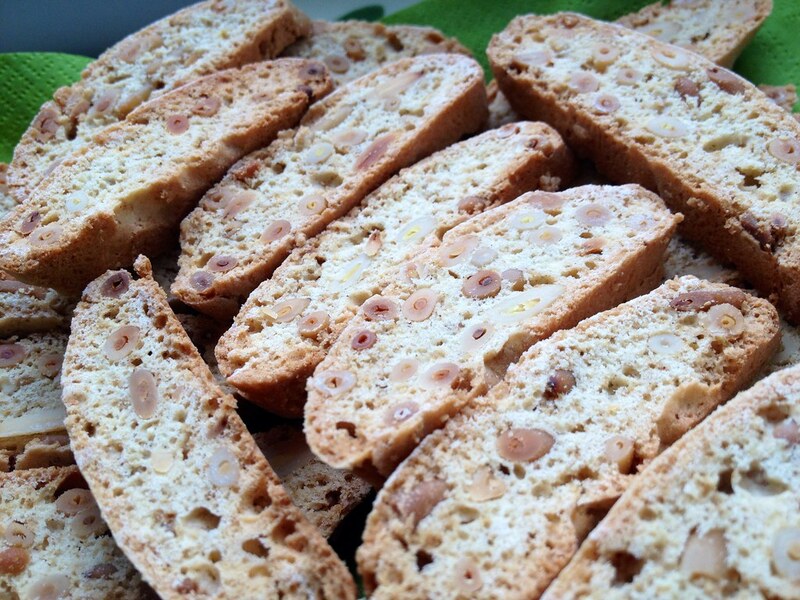 But cantuccini are great with any kind of nuts, I guess. For the recipe, have a look at pp. 313-314 in the book by Dorie Greenspan! And, as always, don't forget to step by all the other gifted bakers in the group to see what they made of it. "dry things"-- I like that description. pine nuts sound great in these...they are such a luxury here. Dry and yummy things! :) Yes, these are good with so many different nuts and ingredients.